This is going to be the second mother's day since you reastralled, to fully enjoy the glorious wonders of life that I shall not call you on the telephone, or hear you laugh. 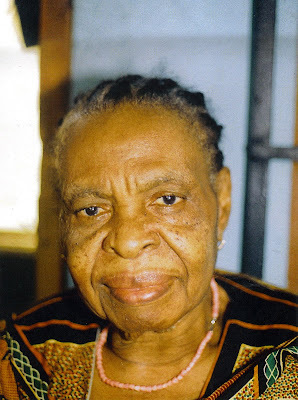 I am writing this letter to let you know that we miss you very much, Ada Igbo. I also wanted to let you know that my wife Amaka, worthy mother of your grandchildren has already prepared mother's day meals a day before tomorrow's celebrations. O, how very much I wish you'd sit at the table with us, together, all of us blessing the good Lord for blessing us so. I am comforted of course in the knowledge, without doubt, that you are happy and aglow in the marvellous light of God, that you are surrounded with love and the most peaceful peace, such peace that not even the most fertile mind can fathom. Continue to rejoice in the presence of the most high. Happy Mother's Day to you mama.